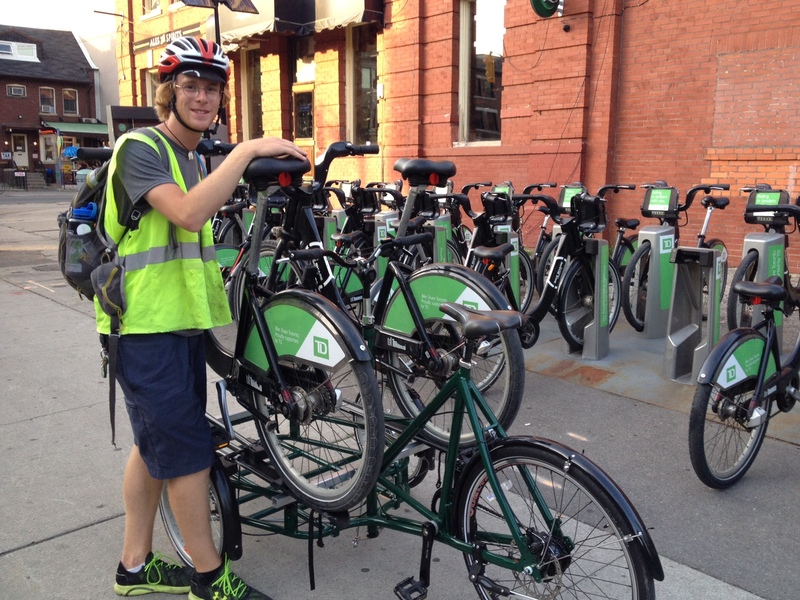 Eric, the operator, poses with Bike Share's new front-end loading cargo bike. I ran into this delightful student, Eric, who works for Bike Share as he was picking up these two Bike Share bikes in need of repair. 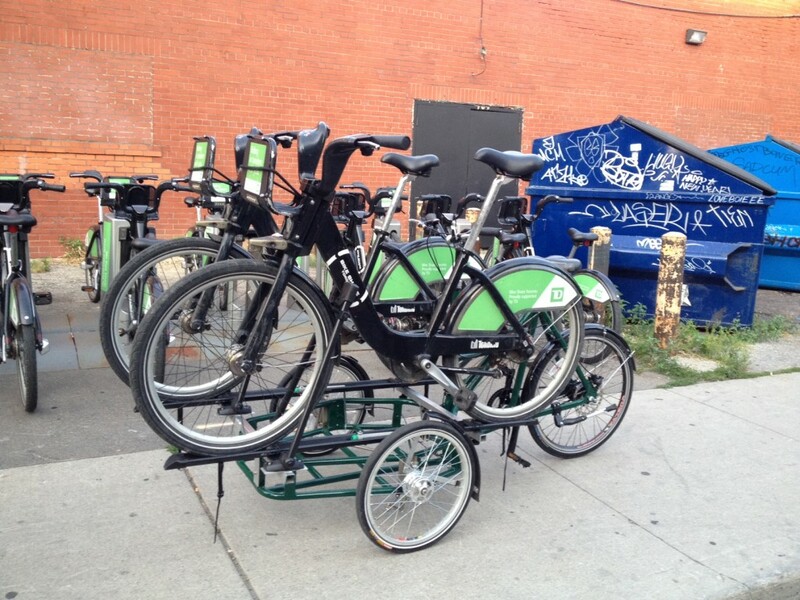 He said it was the three-wheeled cargo bike's second day on the job. 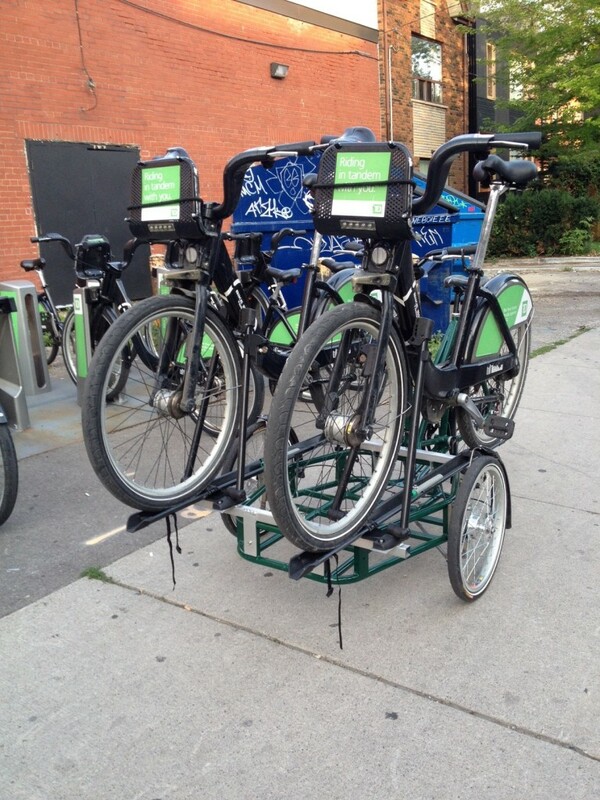 Way to go Bike Share! What a dandy new addition to the repair team's transportation fleet.